Narrated by Richard Bonynge, this 55 minute documentary on the life and music of Jules Massenet (1842-1912) the most successful and popular composer in Europe during his lifetime. It features Dame Joan Sutherland, Thomas Hampson, Rosamund Illing, Rodney Milnes and over a dozen interviews with world authorities on Massenet. It was filmed in London, Paris, Rome, Brussels, Montreux and Sydney. 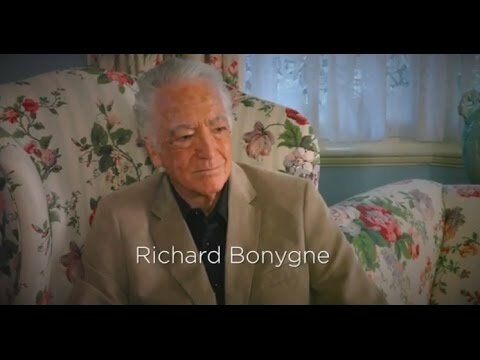 Richard Bonynge AO CBE, Jean Christophe Branger, John Cox, Hugues Cuenod, Dr Annegret Fauser, Thomas Hampson, Dr James Harding, Rosamund Illing, Graham Johnson, Noël Lee, Madame Anne Bessand-Massenet, Rodney Milnes, Andrew Porter, Janine Reiss, Manuel Rosenthal, Dame Joan Sutherland, OM, AC, DBE, Dr Roland van der Hoeven. Massenet's operas are so wonderfully crafted, the surface is so brilliant and so seductive that people don't actually bother to look what's underneath that surface to see the extraordinary psychological penetration in his portrayal of his characters. The documentary is rich in atmosphere, filmed in Massenet's chateau in Egreville, near Fontainebleau. We meet the composer's descendent, Anne Bessand-Massenet, and see his bedroom, the piano he composed on, and many hitherto unseen photos. We visit, in Montreux, the home of Dame Joan Sutherland and her husband, the great Massenet champion Richard Bonynge, who talk of their love for Massenet's music. The revered singer Hugues Cuenod, in Vevey, discusses his operas with their unfailing perfection of setting the French language. We visit Rome where Massenet studied, and London to meet the Massenet biographer Dr James Harding, and the Massenet specialist Rodney Milnes. Distinguished pianist Graham Johnson shares his insights into the music. In Brussels we see the Theatre de La Monnaie, where Massenet had his first success, and in Paris, we hear from famous French vocal coach, Janine Reis, an expert in the Massenet style. We also see Richard Bonynge and Australian soprano Rosamund Illing rehearsing Massenet arias at the piano in Sydney. The soundtrack is a luscious new recording, with the Australian Opera Orchestra and Richard Bonynge of Massenet's music. We also see excerpts of Manon from the Vienna Philharmonic and Edita Gruberova, and Cendrillon, with Frederika von Stade. Dr Roland van der Hoeven.